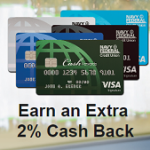 With the Costco credit card acceptance changing to Visa on June 20, including those issued by Chase, Chase Freedom is announcing that it will continue to offer the 5% cash back category of Wholesale Clubs through the end of the year. Chase Freedom cardholders earn 5% cash back each quarter on up to $1,500 in combined purchases from Wholesale Clubs, including Costco®, BJ’s® and Sam’s Club®, and other additional rotating quarterly categories. What this means is that Wholesale Clubs will also be a bonus category in both the third and fourth quarters. So, in Q3, Freedom cardholders will earn 5x points on up to $1,500 in spending at restaurants and wholesale clubs combined. In Q4, Freedom cardholders will earn 5x points on up to $1,500 in spending on “holiday shopping” and wholesale clubs combined. Note that, assuming it keeps the same limitations put in place for this quarter, eligible wholesale club spending excludes gas, fuel and wholesale club specialty service purchases such as travel, insurance, cell phone and home improvement. Activation for Q3 (July through September) bonus categories begins on June 15. 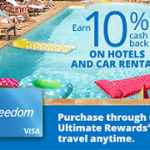 Chase Freedom® mobile app – Download the new Chase Freedom mobile app, logon using your Chase online login and password to activate your 5% cash back.